In the morning after brushing teeth, scraping tongue and washing mouth, take one tablespoon (two tea spoons=10ml) of sunflower oil or sesame oil in the mouth on empty stomach. Close the mouth. Do not swallow. Chin up, rinse mouth to ensure oil sweeps over the entire oral cavity. Slowly pull the oil by sipping and sucking with the help of tongue through 32 gaps between all the teeth, area of gums, on palate including soft palate near throat, and both ear end corners of oral cavity. The process ensures any pathogens in oral cavity will be pulled and trapped in the oil. Exercise the jaw as if chewing. This must be done with concentration of mind on oil in the mouth for 15 to 20 minutes and it takes that much time to pull oil in mouth. It is done better sitting and with eyes closed. Initially the oil is viscous but slowly it turns thin and white like milk. Spit when the mouth gets full or between 15 to 20 minutes. Wash your mouth and teeth thoroughly. Drink two or three glasses of water. (Note: Stomach is considered empty in the morning before drinking or eating; one hour after drinking liquids like water, tea or coffee and before breakfast and four hours after breakfast and lunch). Do not gargle in the throat. If you swallow inadvertently, there is nothing to worry. It will be eliminated by excretion if not digested. Spit in the toilet and flush or in drain and not where people walk or on vegetation. If the spit color is yellow and has not turned white pulling is not done sufficiently long or oil quantity is more. Do not do other works along with OP. 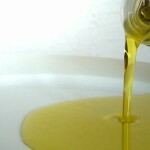 If you are allergic to a particular brand, change the brand of oil or to different oil. This therapy is not recommended for children under the age of 5. (Important note: Read, if necessary read again, understand the procedure and practice to derive full benefits of OP. Oils other than sun flower and sesame oils were tried by many people for OP, on their own, but no one wrote the healthy benefits or desired healthy results in the body when used daily. Hence I am not able to recommend other oils).